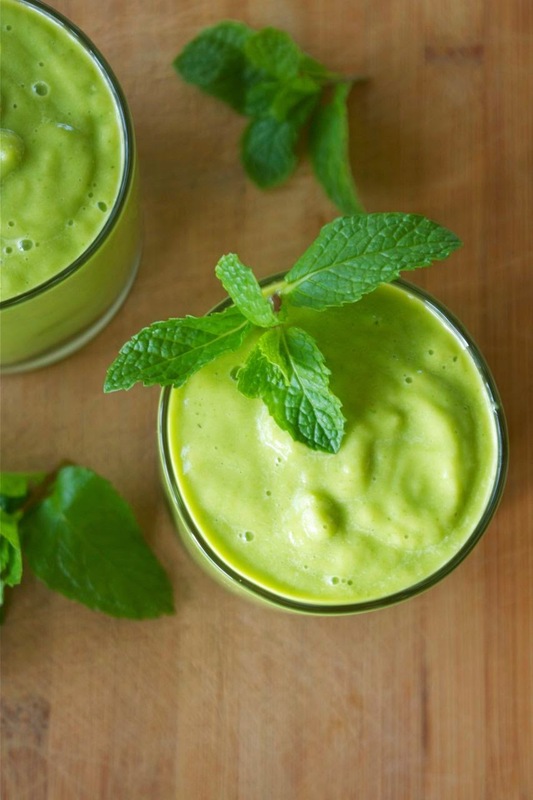 I am sure some of you will be having other beverages that do not include spinach… or almond milk… BUT if you are on the detox (or just looking for another delicious healthy smoothie recipe) you have to try this refreshing, creamy Minty Madness Smoothie. This 7 ingredient smoothie tastes somewhat how I would imagine the popular Shamrock Shake tastes … only WAY better. It also doesn’t contain the a million chemicals and unpronounceable ingredients the certain fast food chain uses. Not to mention it’s full of naturally flavorful ingredients that provide so many health benefits. It’s full of vitamins A, C, K and D, B vitamins, folate, magnesium, potassium, fiber, protein, antioxidants, healthy fats, and many other vitamins and minerals. I tested this recipe last weekend and have been craving it ever since. This creamy, minty goodness will be sold at the Galley all of next week in honor of St. Paddy’s day. Come and get one if you’re close by! If not be sure to make it at home. I think it will soon become a smoothie staple in your household. In vitamix or high powered blender, add all ingredients. Blend on high for 1 minute or until creamy and smooth. Note: you may need to add more almond milk if too thick.